I'm very glad to inform you that VistaSwitcher is out of the beta phase and is now a live product. 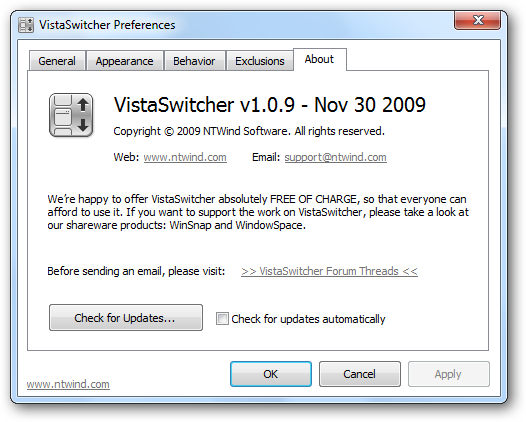 I put much effort into the development to make VistaSwitcher as fast and reliable as it is. I really hope you enjoy it and find it useful! If you want to translate VistaSwitcher into your native language, please see the dedicated forum thread - Language Files for VistaSwitcher.